I’m originally from Sweden and grew up on the south coast in a town called Ystad. Fitness has been a huge part of my life since I’ve started lifting weights at 13 years old. Up until then, I dabbled in soccer, European team handball, cycling, badminton, tennis, and golf. Gaining muscle intrigued me early and my goal was to get stronger just like any other 13 year old. I joined a gym and got hooked pretty quickly. One of my classmates told me that if I mix a banana, raw egg, milk, and Hershey chocolate syrup after training I’d gain even more muscle. This absolutely blew my mind because I had not connected nutrition and performance like that before. I had always been positively encouraged to eat healthily and play sports by my parents which created sound habits. I remember chopping up fruit for dessert when I was young and getting loads of praise from my parents which helped encourage me tremendously. My sports interests dwindled down to golf only which I pursued with more effort than any other sport in the past. I always kept a steady gym routine along with my golf game. During high school, I went to a sports-focused program that allowed me to practice golf on school time as well as take nutrition and exercise science classes. Jimmy Rosengren was my PE teacher and principal. He was a bodybuilder and I admired his physique, work ethic, and knowledge. He helped re-affirm that I wanted to work in fitness from day 1 in high school. We would have quizzes in nutrition class and I would study like a maniac to secure the top spot. From Mr. Rosengren’s class, I won movie tickets, jackets, and more importantly the desire to help other people achieve their fitness goals. After high school, there are no collegiate sports in Sweden. You either quit or you turn pro. I wanted to continue my golf game as well as study. Lindenwood University offered me a scholarship and after checking out the website I figured it was a great match. This was my first time in the states and my twin brother Eric also represented the Lindenwood golf team. Exercise science was the obvious choice of study and the education I’ve gotten from Lindenwood has been phenomenal. My golf game improved rapidly since getting to Lindenwood and I was awarded Heart of America Conference Player of the year with a scoring average of 74. During my time at Lindenwood, I met Courtney Isacsson/Bresnahan in anatomy and physiology class. We did some heart testing the first time we spoke in class and her impressively low heart rate after running stairs caught my attention immediately. During this times was when I heard about CrossFit from some of the school's wrestlers. The concept of being as well rounded as possible was very intriguing to me and after watching the documentary ‘Every Seconds Counts’ I was all in. I started following main site workouts on my own and did the best I could by studying videos and being creative with the equipment. My goal at this time during my undergrad was to work in collegiate & professional strength and conditioning. This led me to further certifications for my resume. The CrossFit L1 cert is where I started and it was a mindblowing weekend. 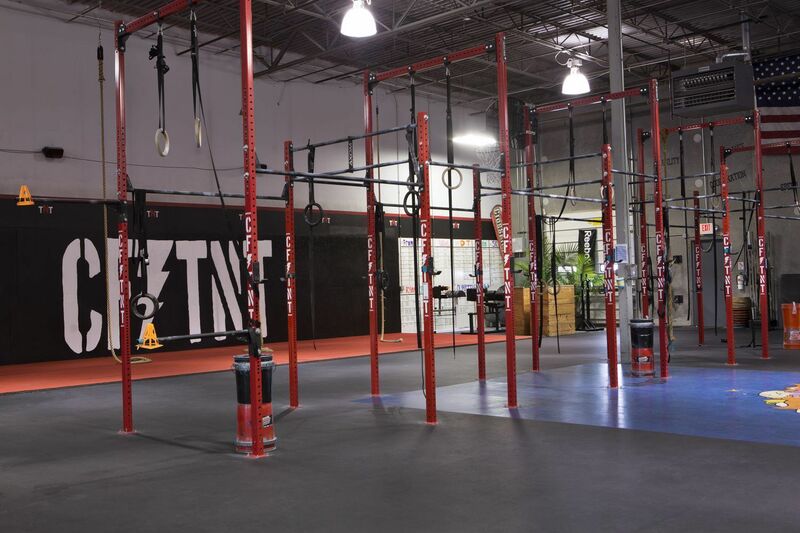 This was my 2nd time in a CrossFit affiliate and my 1st visit to CFTNT. I later came back to TNT shortly thereafter to partake in my first competition, the battle for the cup. I signed up for the Rx division without muscle-ups and handstands push-ups which forced me to focus on weaknesses. Towards the end of my undergrad, I went to the CrossFit endurance certification where I met back up with Rochelle and Jeff Thayer. Ro asked if I wanted to come in for a rehab class and talk about coaching afterward to which I Immediately said yes. That started my coaching career and intern process in 2012. After undergrad, I was done with golf but not with school. I started the Human Performance Graduate program at Lindenwood and moved in with my lab partner. At this time I coached regularly at TNT and worked as a graduate assistant at the LU rec center. My duties at LU involved leading group training classes and personal training which was a great learning experience to combine with my studies. Since my graduation from Lindenwood, I’ve been working full time at TNT. My lab partner is now my wife and I’m extremely grateful for her and the job that I have. My initial focus on wanting to work in professional & collegiate sports has now shifted towards helping anyone that wants to live a happier, healthier, and more fulfilling life. My life goal is to help people get healthier and I would not be able to do so without great mentors such as Bo & Ase Isacsson, Rochelle Thayer, Matt Owen (Project Deliverance), Seth Ronland (Breeze Fitness), and Jimmy Rosengren (Procivitas). Running is my favorite movement. Taking my pups (Ellie 4-year-old Lab & Lupin 1-year-old Coonhound) out for an easy jog is one of my favorite activities. • Sport specific training to improve your golf, running, and etc. • Mobility & rehab specific exercises for recovery and longevity. Remote coaching is $75 for a 4 week program. This is a great way to follow an individualized program if you can't physically be at CrossFit TNT. We use the TrueCoach app to easily send you workouts that you can complete and log for easy following. We can always schedule a “no-sweat consultation” at the gym to chat about your goals and how I can help you get there. Please send me an email oscar@crossfit-tnt.com or text me at 636 - 328 3701 if you have any questions.